The organisers of the Spanish top flight, LaLiga, have insisted that the league is still the best in the football world despite the departure of Cristiano Ronaldo. Five-time Ballon d’Or winner Ronaldo left Real Madrid in July for Juventus after years of one of the biggest sports rivalries with Barcelona’s Lionel Messi, who has also been named the world’s best player five times. 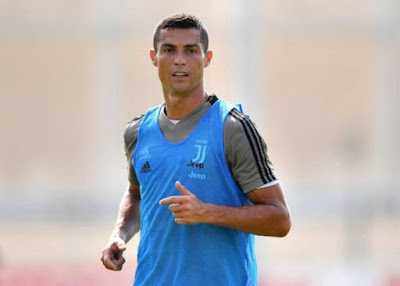 But LaLiga Nigeria Country Manager Javier Del Rio is confident Ronaldo’s departure will not diminish the league’s popularity. “LaLiga remains the best league in the world and we keep improving it,” Del Rio said in Lagos on Thursday. “With Ronaldo gone we still have great players in the league. There’s still Antoine Griezmann of Atletico Madrid who starred for France as they won the World Cup in Russia. “There’s still Luka Modric of Real Madrid who was named the best player at the World Cup and led a small team like Croatia to the final. Of course there’s still Lionel Messi, the best player in the world. Del Rio listed more reasons LaLiga is the best league in the world. He added: “We have five huge derbies and of course El Clasico, the biggest football match in the world after the World Cup final. Del Rio also explained that the Video Assistant Referee (VAR) will debut in LaLiga while more new technologies in broadcast and security will be deployed.